I thought that my adventure days were over when I settled down, got married and had kids. But what I didn’t realize was that they were really just beginning. Not only is parenting an everyday adventure, but traveling with you children, watching them discover the world and seeing it through the eyes of a child, is the best adventure yet. If you’re like me, you want to check off destinations on your bucket list, but you don’t want to do it alone — you want to bring the kids, too. Adventure travel companies have caught on to the trend and, now, there are more opportunities than ever to discover the world with the whole family. One of the most wild adventures you can take is a trip to Africa. Not only do they have the Big Five — lion, leopard, elephants, rhinos and cape buffalo — but you can hike the world’s highest sand dunes and stroll with penguins, too. Abercrombie & Kent take small groups of families on luxury adventures to Tanzania and Kenya. The company offers an eight-day safari in Tanzania that includes Lake Manyara National Park, a scavenger hunt at the Mto wa Mbu Market, the Ngorongoro Crater, Serengeti National Park, a visit to a Maasai village and more. 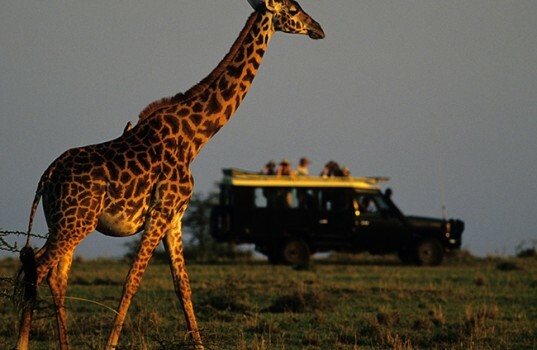 Its nine-day Kenya Safari includes the chance to feed the world’s tallest giraffe, a visit to the rhino reserve and chimpanzee sanctuary in the Ol Pejeta Conservancy, a visit to a Samburu village, a stop at a primary school in the Masai Mara and more. The family Kenya & Tanzania Safari includes the best of both trips. Abecrombie & Kent also offers tailor-made, private family travel for families looking to visit other parts of Africa, such as South Africa. The tour operator can create customized itineraries. G Adventures take families to Namibia. Its small-group family adventures are designed to move at a slower pace, giving kids time to settle in and parents the chance to relax and see each destination. There is also time built in to each trip for parents to have a break while the kids undertake activities with the group’s Chief Experience Officer, meaning both can make new friends within the group of international families on the trip. Its eight-day Namibia Safari includes climbing the highest sand dunes in Sossusvlei as well as Sesriem Canyon, the historical town of Swakopmund, Kamanjab Cheetah park, Etosha National Park for game drives and a chance to see the Big 5. Guests experience the countryside with stays at hotels, a game lodge as well as two nights’ camping. 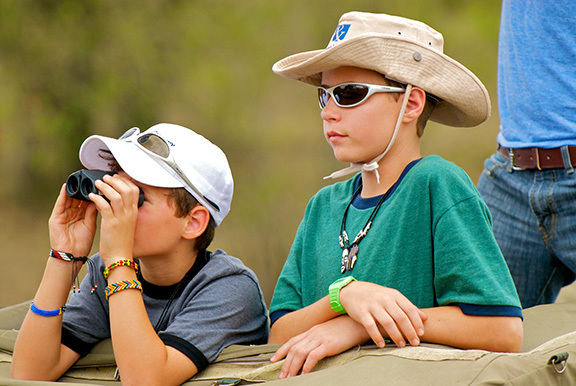 Families can experience South Africa with Adventures by Disney. A combination of wildlife, seaside adventure and cultural immersion makes up the company’s South Africa Safari Vacation. In Cape Town, guests take a cable car ride to Table Mountain and visit the District Six apartheid museum. Parents will enjoy a visit to Stellenbosch, South Africa’s wine country, where they will sip wine while the children learn about falconry. At the Cape of Good Hope and Cape Point families walk with the African penguins and there is a three-day safari at Kapama Game Reserve to see the Big 5.